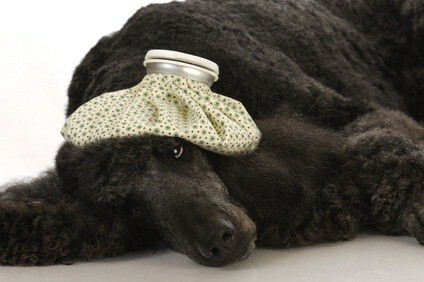 Ask a veterinarian a question 7 days a week, 24 hours a day if you're worried over poodle health problems in the middle of the night. 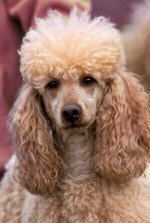 Maybe you're concerned about some recent poodle health issues or your senior dog health issues and aren't sure if it's something that should be looked into further. If you have veterinary questions, ask a veterinarian your question, and he/she will respond to your question usually in under a few hours, sometimes in minutes. Sometimes it's not practical to take your dog to a vet if it's after hours or weekends, and this service can help ease your fears and answer your dog health care questions. Here's how it works. You pick a price, pay your fee, then ask your question. A veterinarian responds with an answer. You talk back and forth with the vet until you are satisfied with your answer. If you're not satisfied, you may request a refund. It's a great service that gives peace of mind to us poodle owners. And it's a lot cheaper than an after hours trip to the vet! The vet will let you know if it's an emergency and if so, what you should do. If it's non-threatening, he'll let you know what at home care you can give your poodle. It's great peace of mind if you're worried about your pet. A few years ago, we came home to find Holly, our toy poodle, had eaten half a box of chocolate cupcakes that were left out. She weighed 12 pounds so she had eaten a lot of chocolate. It was late at night, the vet wasn't in, so we kept an eye on her all night. Fortunately, she was fine, didn't get sick or anything! It would have been great to have had an "ask the vet" service at that time to ease our fears. Take care of your pet's health and make sure she's okay any time of the day or night. You'll have peace of mind knowing a veterinarian is waiting to help you out, day or night. Our poodles' health care is nothing to take chances with.